"I'm the world's worst salesman. Therefore, I must make it easy for people to buy." With that marketing strategy, Woolworth built one of the largest companies in the history of the world. Since then many others have used the same marketing strategy: make it simpler and easier to get, find, learn about, try, buy, use and evangelize. "Simple and Easy to Buy" is still the key to marketing success. But exactly how do you make decisions easier for customers? That's what you will learn on this web site and in The Market Navigators' Briefings. If you are not the leader in your field, you are not making it easy enough for people to buy. Your competitors are making it easier. It’s just that simple. In your field, YOU will become the leader when you are the first in your industry to master The Easy Strategy. The Easy Strategy: The company that makes the entire customer decision process easiest – every step of the way – WINS. If you are not the leader in your field, you are not following The Easy Strategy. Your competitors are making it easier. The best Marketing Strategy is just that simple — and easy. Mnav.com is the world’s only website and newsletter dedicated to the idea that making it easier for the customer to say “Yes” is the best marketing strategy. Our mission is to supply the tools that can give EVERY marketing strategist who has a superior product, service or idea, the ability to get more customers, clients and sales by making the customer decision process easy. Marketing strategy is misunderstood, even by marketers. Marketing is a noble profession, helping people make difficult decisions about products that can enhance their lives. 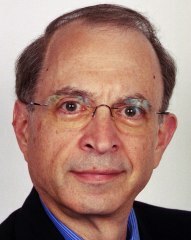 George Silverman, The Decision Guy "The Easiest-to-Decide-on product wins"